Kadriye Inan, Fulya Ay Sal, Asif Rahman, Ryan Putman Foster A. Agblevor, and Charles D. Miller. Microbubble assisted polyhydroxybutyrate production. BMC Research Notes, 2016. Wood, Jonathan L, Charles D Miller, Ronald C Sims, and Jon Y Takemoto. 2015. 'Biomass and phycocyanin production from cyanobacteria dominated biofilm reactors cultured using oilfield and natural gas extraction produced water', Algal Research, 11: 165-68. Asif Rahman, Ryan J. Putman, Kadriye Inan, Fulya Ay Sal, Ashik Sathish, Terence Smith, Chad Nielsen, Ronald C. Sims, and Charles D. Miller. Polyhydroxybutyrate production using a wastewater microalgae based media. Algal Research, 2015, 8, 95-98. Castro, Y. A., Ellis, J. T., Miller, C. D., & Sims, R. C. (2015). Optimization of wastewater microalgae saccharification using dilute acid hydrolysis for acetone, butanol, and ethanol fermentation. Applied Energy, 140, 14-19. Ellis, J. T., Sims, R. C. & Miller, C. D. Microbial bioproducts from cheese whey through fermentation with wastewater sludge Clostridium isolates. Canadian Journal of Microbiology, 2014 (in press). Sathish, A., Glaittli, K., Sims, R.C., and Miller, C.D. Algae biomass based media for poly(3-Hydroxybutyrate) (PHB) production by Escherichia coli. Journal of Polymers and the Environment. 2014. 22:272-277. Miller, Charles D., Peyton, Brent M., Cooksey, Keith E., Gardner, Robert D., and Sims, Ronald C. Direct measurement and characterization of active photosynthesis zones inside wastewater remediating and biofuel producing microalgal biofilms. Bioresource technology. 2014. 156:206-215 . Asif Rahman, Renil J. Anthony, Ashik Sathish, Ronald C. Sims, and Charles D. Miller. Effects of wastewater microalgae harvesting methods on polyhydroxybutyrate production. Bioresource technology, 2014. 156:364-367. Asif Rahman, Elisabeth Linton, Alex Hatch, Ronald C. Sims, and Charles D. Miller: Secretion of Polyhydroxybutyrate in Escherichia coli using a Synthetic Biological Engineering Approach. Journal of Biological Engineering, 2013 7 (24). Renil J. Anthony, Joshua T. Ellis, Ashik Sathish, Asif Rahman, Charles D. Miller, and Ronald C. Sims. Effect of Coagulant/Flocculants on Bioproducts from Microalgae. Bioresource technology, 2013 149, 65-70. Joshua T. Ellis, Cody Tramp, Ronald C. Sims, and Charles D. Miller. 2012. Metagenome analysis of a methanogenic community within an algal fed anaerobic digester. ISRN Microbiology In Press. Linton, E., Rahman, A., Viamajala, S., Sims, R. C. and Miller, C. D. Polyhydroxyalkanoate quantification in organic wastes and pure cultures using a single-step extraction and 1H NMR analysis. Water Science and Technology& 66(5), 1000-1006 (2012). Wagh, A., Shen, S., Shen, F.A., Miller, C.D. and Walsh, M.K. 2012. Investigating the Effect of Lactose Monolaurate on Pathogenic and Non-Pathogenic Bacteria. Journal of Applied Microbiology. Accepted. Mortensen T^, Shen, S^, Shen, F.A.,Walsh M., Sims R.C., Miller C.D. 2011. Investigating the effectiveness of St. John’s Wort herb as an antimycobacterial agent against mycobacteria. Phytotherapy Research. In press. Linton, E., Walsh, M.K., Sims, R.C. and Miller, C.D. 2011. Translocation of green fluorescent protein by comparative analysis with multiple signal peptides. Biotechnology Journal. In press doi:10.1002/biot.201100158. Davis ML, Mounteer LC, Stevens LK, Miller C.D. and Zhou A. 2011. 2D motility tracking of Pseudomonas putida KT2440 in growth phases using video microscopy. Journal of Bioscience and Bioengineering. 111:605-611. Pabst, M, Miller, C.D.,Dimkpa C., Anderson, A. J. and McLean, J. E. 2010. Defining the surface adsorption and internalization of copper and cadmium in a soil bacterium, Pseudomonas putida. Chemosphere 18 (7):904-910. Miller, C.D., Pettee, B., Zhang, C., Pabst, M., McLean, J. E. and Anderson, A. J. 2009. Copper and cadmium: responses in Pseudomonas putida KT2440. Letters in Applied Microbiology 49:775-783. Child, R^, Miller C.D., Liang Y., Sims R.C. and Anderson A.J. 2007. Pyrene mineralization by Mycobacterium strain KMS in a barley rhizosphere. J. Environmental Quality. 36: 1260-1265. Child, R^, Miller C.D., Liang Y, Narasimham G^, Chatterton J, Harrison P, Sims R.C., Britt D, Anderson A.J. 2007. Polycyclic aromatic hydrocarbon-degrading Mycobacterium isolates: their association with plant roots. Applied Microbiol Biotechnol. 75: 655-663. Miller, C.D., Child, R^., Hughes, J., Benscai, M., Der, J.^, Sims, R.C, and Anderson, A.J. 2007. Diversity of soil mycobacterium isolates from three sites that degrade polycyclic aromatic hydrocarbons. Journal of Applied Microbiology 102: 1612-1624. Hall, K^, C.D. Miller, D.L. Sorensen, A.J. Anderson, and R.C. Sims. 2005. Development of a catabolically significant genetic probe for polycyclic aromatic hydrocarbon-degrading Mycobacteria in soil. Biodegradation 16:475-484. Miller, C.D., Y.N. Liang^ K. Nieman^, K. Hall*, D. Sorensen, A.J. Anderson, and R.C. Sims. 2004. Isolation and characterization of polycyclic aromatic hydrocarbon-degrading mycobacterium isolates from soil. Microbial Ecology 48:230-238. Miller, C.D., G.U.L. Braga^, S.D. Flint, S.I. Kwon, C.L. Messias, D.W. Roberts and A.J. Anderson. 2004. Enzyme activities associated with oxidative stress in Metarhizium anisopliae during development and after near-UV irradiation. Canadian Journal of Microbiology 50:41-49. Braga, G.U.L.^, D.E.N. Rangel^, S.D. Flint, C.D. Miller, A.J. Anderson, and D.W. Roberts. 2002. Damage and recovery from UV-B exposure in conidia of the entomopathogens Verticillium lecanii and Aphanocladium album.Mycologia 94:912-920. Holman, H.N., K. Nieman^, D.L. Sorensen, C.D. Miller, M.C. Martin, T. Borch, W.R. McKinney, and R.C. Sims. 2002. Catalysis of PAH Biodegradation by humic acid shown in synchrotron infrared studies. Environmental Science and Technology 36:1276-1280. Miller, C.D., W.S. Mortensen*, G.U.L. Braga^ and A.J. Anderson. 2001. The rpoS gene in Pseudomonas syringae is important in survival from near-UV in sunlight. Current Microbiology 43:374-377. Braga, G.U.L.^, S.D. Flint, C.D. Miller, A.J. Anderson, and D.W. Roberts. 2001. Variability in response to UV-B among species and strains of Metarhizium isolated from sites at latitudes from 61 o N to 54 o S. J. of Invertebrate Pathology 78:98-108. Miller, C.D., Y.C. Kim^, and A.J. Anderson. 2001. Competitiveness in root colonization by Pseudomonas putida requires the rpoS gene. Canadian Journal of Microbiology 47:41-48. Braga, G.U.L.^, S.D. Flint, C.D. Miller, A.J. Anderson, and D.W. Roberts. 2001. Both solar UV-A and UV-B radiation impair conidial culturability and delay germination in the entomopathogenic fungus Metarhizium anisopliae. Photochemistry and Photobiology 74:734-9. Anderson, A.J. and C.D. Miller. 2001. Catalase activity and the survival of Pseudomonas putida, a root colonizer, upon treatment with peracetic acid. Canadian Journal of Microbiology 47:222-228. Miller, C.D., Y.C. Kim^, M.K. Walsh, and Anne J. Anderson. 2000. Characterization and expression of the Pseudomonas putida bacterioferritin alpha subunit gene. Gene 247:199-207. Kim, Y.C.^, C.D. Miller, and A.J. Anderson. 2000. Superoxide dismutase activity in Pseudomonas putida affects utilization of sugars and growth on root surfaces. Applied and Environmental Microbiology 66:1460-7. Kim, Y.C.^, C.D. Miller, and A.J. Anderson. 1999. Transcriptional regulation by iron and role during plant pathogenesis of genes encoding iron- and manganese-superoxide dismutases of Pseudomonas syringae pv. syringae B728a. Physiological and Molecular Plant Pathology 55:327-339. Kim, Y.C.^, C.D. Miller , and A.J. Anderson. 1999. Transcriptional regulation by iron of genes encoding iron- and manganese-superoxide dismutases from Pseudomonas putida. Gene 239:129-35. Miller, C.D. , Y.C. Kim^, and A.J. Anderson. 1997. Cloning and mutational analysis of the gene for the stationary-phase inducible catalase (catC ) from Pseudomonas putida. Journal of Bacteriology 179:5241-5245. Kim, Y.C.^, C.D. Miller , and A.J. Anderson. 1997. Identification of adjacent genes encoding the major catalase and a bacterioferritin from the plant-beneficial bacterium Pseudomonas putida. Gene 199:219-224. Miller, C.D. and W.L. Miller. 1996. Transcriptional repression of the ovine follicle-stimulating hormone-beta gene by 17 b - estradiol. Endocrinology 137:3437-3446. Goodspeed, D.C., T.J. Dunn, C.D. Miller, and H.C. Pitot. 1989. Human gamma-glutamyl transpeptidase cDNA: comparison of hepatoma and kidney mRNA in the human and rat. Gene 76:1-9. Asif Rahman and Charles D. Miller. 2017. Algae as a source of bioplastics. 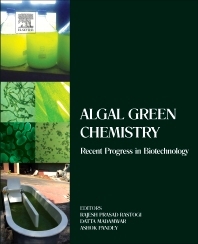 in Algal Green Chemistry-Recent Progress in Biotechnology. Rajesh Rastogi, Datta Madamwar, and Ashok Pandey. Elsevier. Joshua T. Ellis and Charles D. Miller. 2016. Fuel Alcohols from Microalgae. In Algae Biotechnology-Products and Processes, Bux, Faizal, Chisti, Yusuf; Springer, Green Energy and Technology.